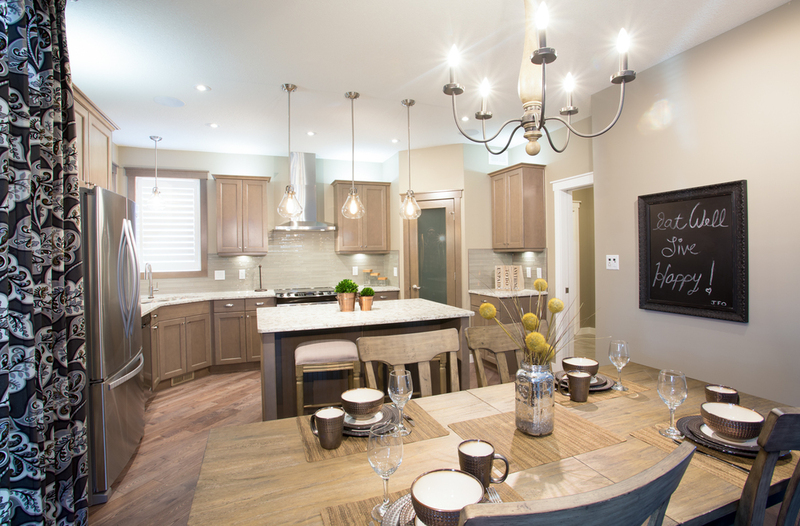 Found in the town of White City, just 10 minutes east of Regina, you will find our Trademark showhome at 10 Motherwell Dr. This home was nominated for Best Production Home in the 2015 RRHBA Master Awards and with all the bells and whistles it’s no wonder why it was a top contender! Many hours were spent designing and planning this home, imagining how the future home owners would live and spend their time in this 2158 sqft Zarina model. Here are my top 7 reasons why this Zarina floor plan should be your next home! Seriously, you can’t get much better than this! Located just steps from Emerald Ridge Elementary School, the convenience of this home is like no other. No more rushed mornings, early bus pick ups, or after school traffic jams. You can watch your kids walk to school from the privacy of your front room! They say everything is bigger in…. White City? If you’re dreaming of big spaces, you won’t find many lots bigger than this one. The lot is 69 feet across the front and 157 feet deep – over 10,000 sq ft of lot space! Plenty of room for that fire pit area, private patio, and even a swimming pool! White City also has large side yard set backs so you won’t feel like you’re living on top of your neighbours. This lot has many options to create the back yard oasis you’ve been dreaming of. The Zarina floor plan is popular for families for one main reason: the space! With an open concept Living Room, Dining Room and Kitchen it’s perfect for entertaining. The main floor has an open Flex Room which can be used for many different functions including a formal living space, formal dining area, home office, or kids play area. 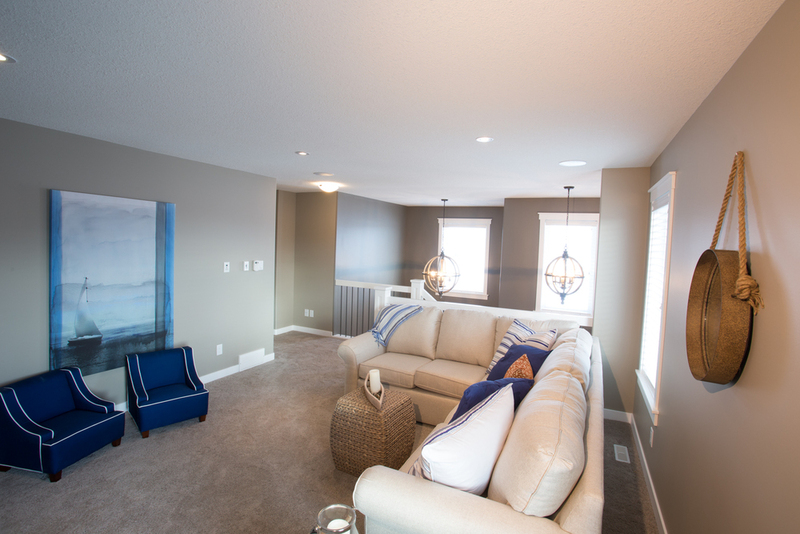 On the second floor you will find a large bonus room with a beautiful gas fireplace perfect for family movie nights. This floor plan is great if you have a family who needs more space or you are looking for the perfect home to grow into! You’ll love the indoor space but wait till you see the back deck area. This home has a 22’x10’ covered deck! No more going to your favourite restaurant to sit on their patio because with this deck you’ll be the envy of all your friends and the place everyone wants to hang out. If you hate mosquitos this area could also be screened in creating a living space that is useable 3 seasons of the year! When you walk in the front door you will notice right away the gorgeous millwork that takes this home from ordinary to extraordinary. The front Flex Room displays a hatched ceiling with inset crown molding while the stairwell wall has custom wainscoting stretching from floor to ceiling. 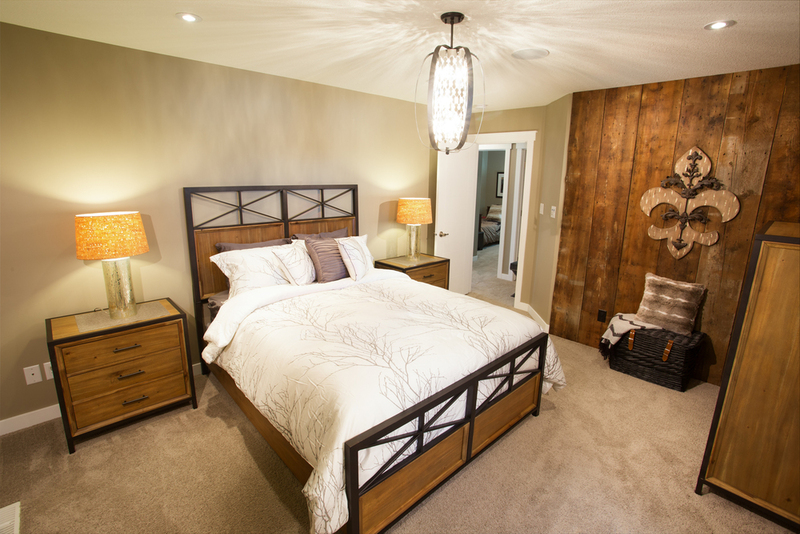 The master bedroom has a feature wall made out of distressed barn board from a local Saskatchewan farm. I’m not over exaggerating… this closet is the talk of the home! 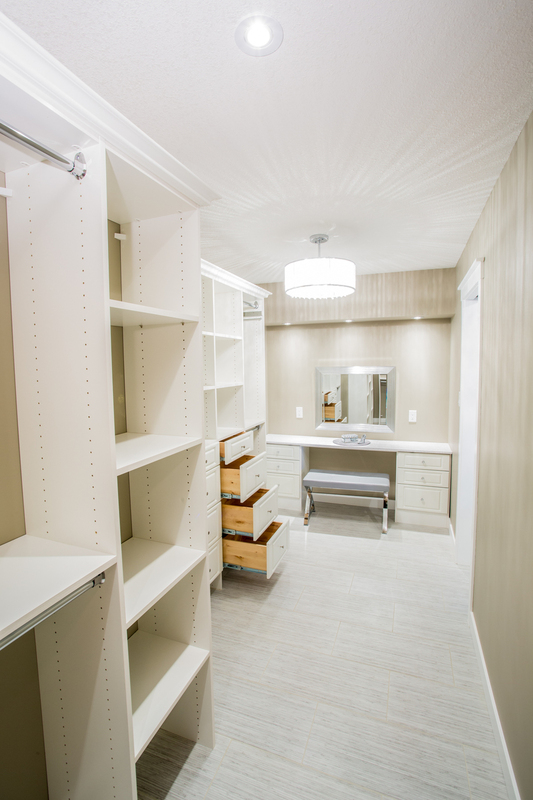 With walls and walls of custom closet hanging solutions it’s every girl’s dream! There is even an accessory/make up area with a large mirror, pot lights, and granite top. Getting ready just took a whole lot longer! It is now available for IMMEDIATE possession! Newer PostWe're Growing! Come Join Our Team.